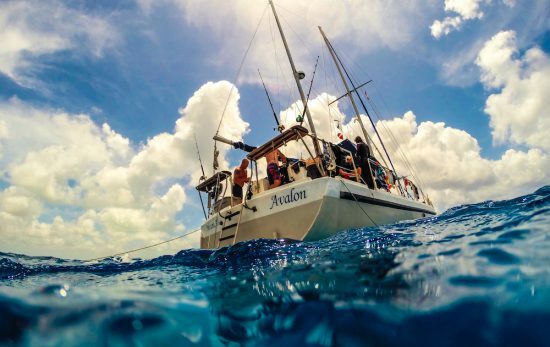 The expedition, hosted by Broadreach, gives teenagers the opportunity to scuba dive, sail and volunteer. 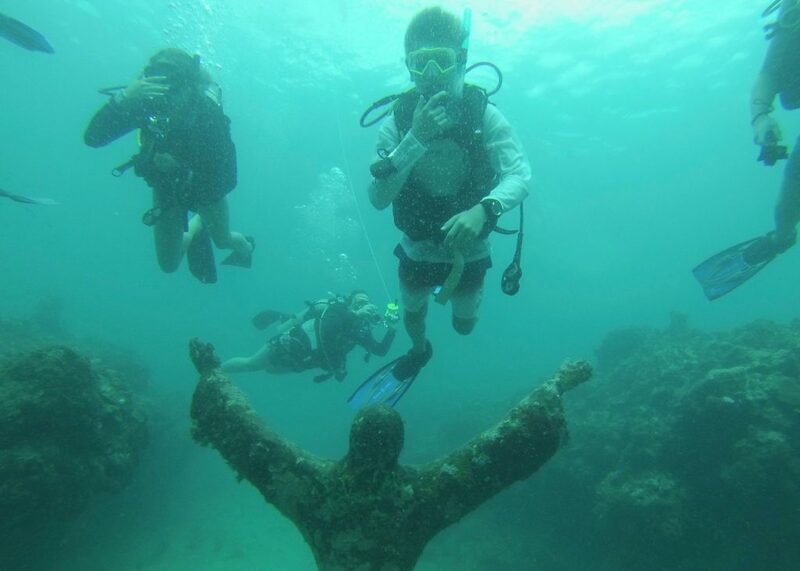 “We often stopped at different islands to learn about their history, do some exploring and perform acts of community service,” Alex said. 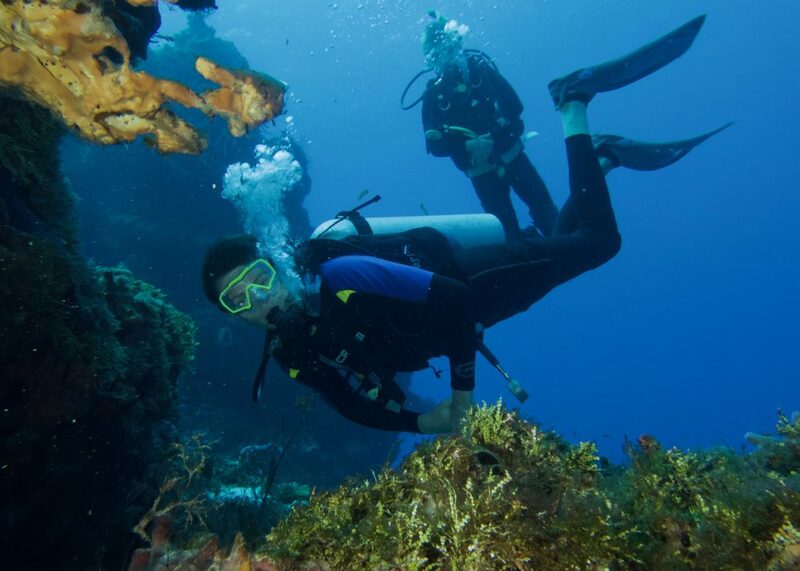 During one of these stops in the Grenadines, Alex saw school children walking long distances to get to school. He wondered what school was like for them and whether they had access to technology. “It stuck in the back of my head for the whole trip,” Alex said. 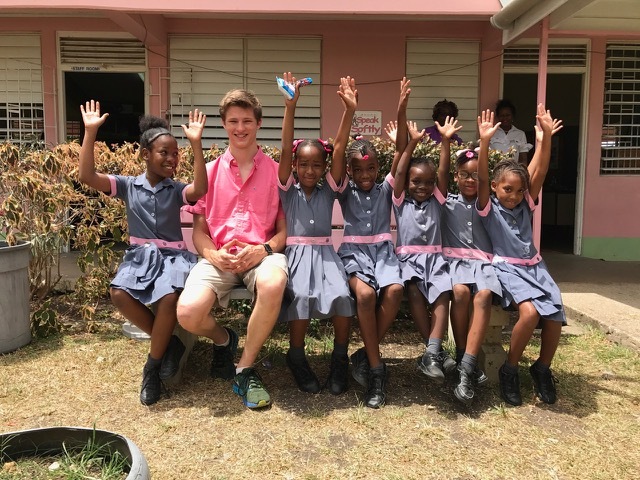 After returning to the U.S., Alex made a bold move – reaching out to government leaders to find out what could be done to improve education for kids in the Caribbean. 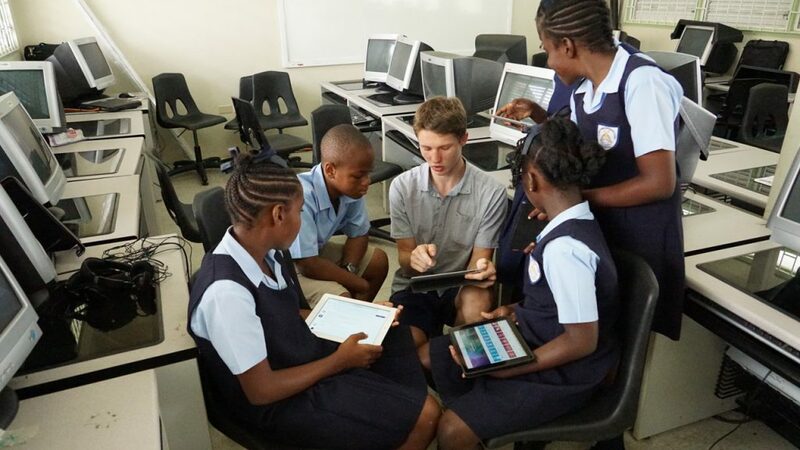 Eventually, he met with members of the Barbados Ministry of Education, Science, Technology and Innovation (MESTI). 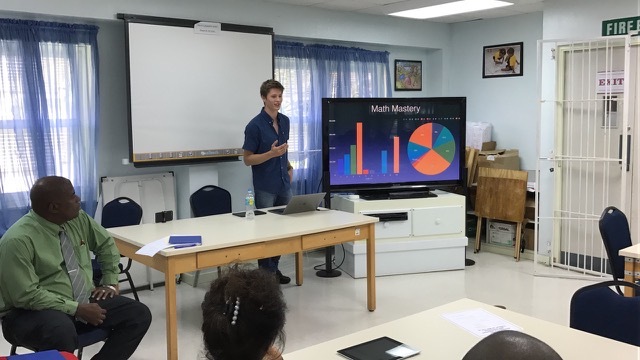 During this meeting, Alex learned some Barbadian schoolchildren struggled with math, especially fractions. 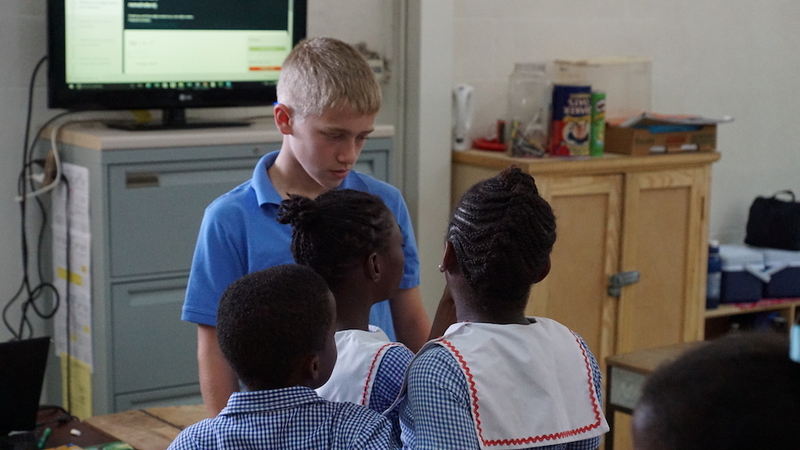 Alex wondered if Khan Academy, a free online educational program, could help kids in Barbados improve their math skills. Alex discussing improvement in math proficiencies. 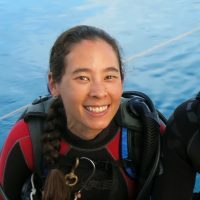 Alex had a connection to Khan Academy through his younger brother Nico. A few months earlier, Nico was recognized by Khan Academy founder Sal Khan as a “Super User” at the company’s Silicon Valley headquarters. 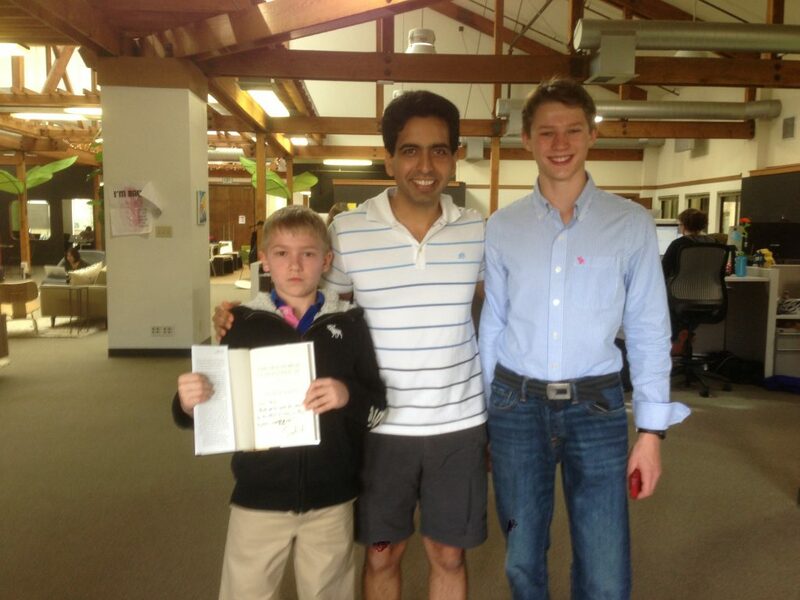 Nico is greeted by Sal Khan, Founder of Khan Academy, at their offices in Mountain View, CA, along with Alex. 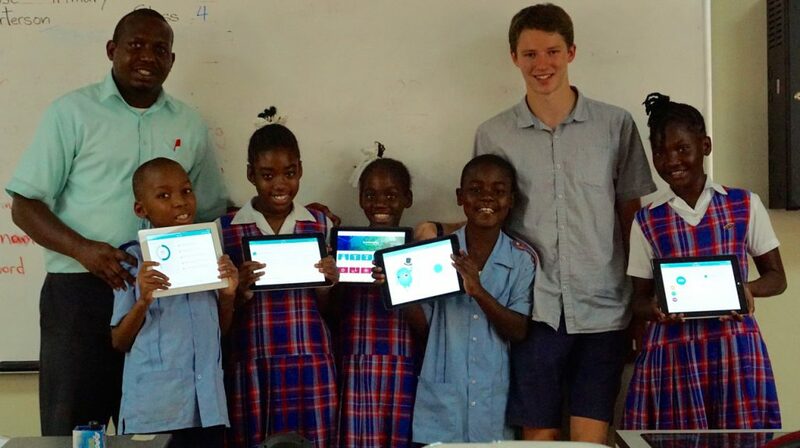 Alex soon launched a Khan Academy pilot program at three Barbadian schools. Students in the program used donated iPads to access Khan Academy and “demonstrated higher levels of engagement in math and other subjects,” according to an official report. The program was expanded to ten schools, and the ALDAS Math/Coding Initiative was born with Alex as the Director of Education, Healthcare and Economic Initiatives and Nico as the Director of Student Engagement. Four years later, 21 schools and thousands of children, including students with special needs, have benefited from Alex and Nico’s efforts. 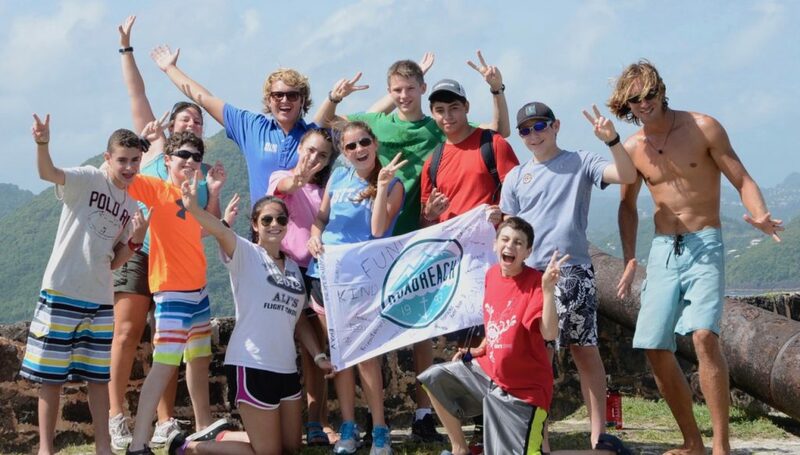 Along the way, the initiative gained support from Apple, Facebook, JetBlue, Montclair Kimberley Academy, Villanova University, and the government of China. 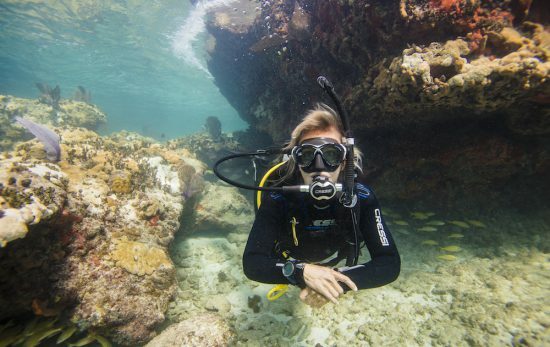 In the summer of 2017, Nico had just returned from earning his PADI Master Scuba Diver rating in the Caribbean when Hurricanes Irma and Maria struck the region. He quickly organized a fundraiser with a local Chipotle restaurant and (to date) has raised more than US $3,400. Neither Alex or Nico ever imagined the kind of impact they could have. “When I was younger I wanted to play with my race cars for a living,” Nico joked.